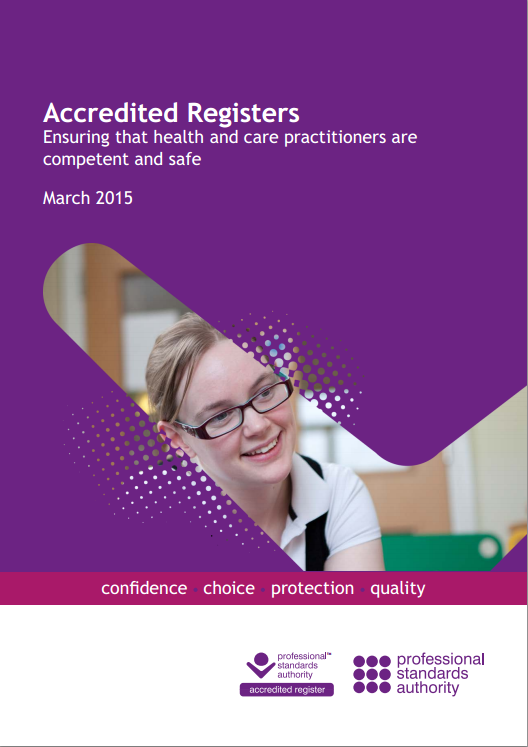 The Professional Standards Authority has published a report about how it has performed with its Accredited Registers Programme. This scheme has been trying to provide some sort of quality stamp for the registering bodies of various non-statutorily regulated health workers. It has been criticised for rubber stamping organisations who promote quackery, such as homeopathy and acupuncture. The role of the PSA is to protect the public when they use health care services. By suggesting that quackery like homeopathy should play a larger role in the NHS, they have stopped protecting the public and are now promoting pseudoscientific medical practices. Homeopathy should not be used to treat health conditions that are chronic, serious, or could become serious. People who choose homeopathy may put their health at risk if they reject or delay treatments for which there is good evidence for safety and effectiveness. When we carried out our formal consultation, some stakeholders expressed concern that our accreditation of registers may be misconstrued as meaning we had approved therapies for which there was no conventional evidence (based on randomised controlled trials). The therapies that caused them concern were complementary therapies and homeopathy. We considered this matter carefully taking particular account of the reports of the Science and Technology Committee and the government’s response. We noted that the risks of harm in relation to complementary therapies is generally low and can be addressed by education and training. We also noted concerns about evidence, and the risks of diverting patients with serious conditions away from conventional medicine, and the risk of misleading advertising. We noted that complementary therapies are used by approximately a quarter of the population and, as this report demonstrates, that people state that they derive benefit from them. Let us examine these claims. Firstly, the use of the weasely ‘conventional’ next to the word ‘evidence’ must set off alarm bells. What other sorts of evidence would be applicable here? They claim that the risks from complementary therapies is low. The Australians though recognise that delaying treatments because you are pursuing quackery is inherently dangerous. It is just not credible to suggest that the use of non-evidenced based treatments pose little risk, even if their mode of action is inert (such as homeopathy). That ‘education and training’ can address these issues is laughable. The PSA does not look at how a member is trained and educated. Training for homeopaths is about inculcating them with the myths and errors of their pseudoscientific system and then layering on the rhetoric of anti-vaccination and a hostility to real medicine. They merely assess the running of the register. If a homeopath were clearly trained to respect the evidence about their trade they would not treat sick people. Obviously, this does not occur. The PSA note they are concerned about homeopaths diverting patients from real medicine, but negelect to say how they feel their accredication mitigates this. They then suggest that because people buy the services of alternative medicine that they must be getting benefit from them. There are other interpretations such as such people are being deceived and misled. We decided that it was in the public’s interests for them to be able to access such therapies from practitioners on registers that meet our high standards, and are subject to our oversight. This allows the public who wish to use complementary therapies to do so more safely. They do not say how a well run register of quacks protects the public from quackery. Complementary therapy practitioners can help to relieve the symptoms of cancer and the side effects of treatment. There is no evidence given that this is true. It also flies in the face of the Australian report that suggests homeopathy cannot be shown to give such benefits and that users of such services put their health at risk. The PSA give an example of a study a study run by a group called Get Well UK in Northern Ireland about how so-called complementary therapies could be integrated into GP care. 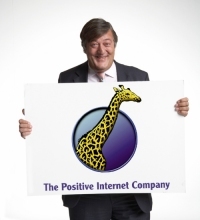 The report was pure PR for quackery, run by a favourite of Prince Charles, Boo Armstrong. Unfortunately, Boo died a few years later at the age of 37 from cancer. The Society of Homeopaths have of course welcomed this report with their own press release. They have not issued a statement about how this massive Australian report has found their trade completely without merit and with significant risks. Harry Cayton, the Chief Executive of the Professional Standards Authority, needs to answer some serious questions. Has his regulatory organisation now been captured by those it seeks to regulate at the expense of public safety? What business does it have lobbying for these alternative therapists to have greater involvement in public medicine? Why is it not focussing on the real risks such therapists pose to the public of offering innefective treatments and dangerous advice? I do not expect to hear any answers. Professional Standards Authority Speaking at Quack Autism Conference. It is incredible that the PSA can give a ‘quality stamp’ to anything that lacks any essential quality in the first place. Given the boost that the Aussie report has given to the opposition to homeopathy, is it time to establish a concerted campaign to drive it and other quackery out of public health services, and establish a legal framework to at the very least end the ludicrous situation where pharmacies sell this nonsense. Ideally it would be good to see a total ban on alternative practitioners and their potions (I prefer to see this referred to as pseudo medicine as opposed to CAM), unless they can meet the same standards of evidence required of mainstream pharmaceuticals. I have no power base to get something like this started, but perhaps a coalition of Nightingale, Sense About Science, Good Thinking Society, and the wider skeptical movement (e.g. via SitPs) might be worth establishing to fight the good fight? Try looking at the evidence base for many conventional medicines first. The well known Straw Man Fallacy. However bad conventional medicine is does not excuse the use of pseudo-scientific medicine. Good for you, Andy Lewis. There are very serious questions for the PSA to answer as set out above. It might be worth looking at the legislation that set up the PSA. I’d not be surprised if they have. Richard, do you have a link for the Annual Report 2015? It doesn’t seem to be on their web site. I can’t seem to find the phrase in quotes in the link – am I missing it? That is very close to being a deliberate outright lie. It is irritating to say the least that the PSA blithely states that ‘many patients have benefitted from complementary therapies’ without any critical analysis as to what extent, how many used such therapies but did not benefit, or to what element of the therapy any benefit can be ascribed. (Almost certainly, placebo effects). Is PSA a Health Counterfeiters’ Charter? Does PSA stand for Placebo Standards Authority? In March 2012, a group of about 400 prominent medical practitioners and medical scientists formed the Friends of Science in Medicine Group. They objected to those Australian universities that were offering degrees in so-called alternative medicine. They considered that for universities to do so, somehow would give the alternatives a status they did not deserve. Furthermore, they declared that there was no such thing as alternative medicine; only good medicine or bad medicine. I do not doubt that some folk who consult a Reiki practitioner or a homeopathist come away feeling better for the excperience. However, whether the manoeuvres of the Reiki-ist or the homeopathist actually played any measurable part is that. Looks much like a placebo effect to me. Many thanks Dr. Lewis for opening the debate. In what way does the irritated state of Richard Rawlins have any scientific relevance? Would it be less significant methodologically if I felt intrigued instead? Are we speaking of social psychology here? PSA is responsible for ensuring there are properly governed regulatory systems. It has strayed into promoting the interests of members of professions not only their regulators. And without giving reasons. That is not its job. PSA should keep its tanks off the lawn of science-based medicine. And you David? Are you content to have science-based medicine undermined? Your comment reads like that of a bot failing its latest Turing test. It’s a struggle even to parse your second question. But, having struggled, what is the answer? Hi. For me, scientific method may sensibly be understood as a logical basis for applying clear standards of judgement. I was suggesting that individuals’ emotional states (mine and others) are unrelated to scientific endeavour and may be sensibly considered by social psychologists. Likewise, questions regarding ethical judgements may not be considered as “scientific”. I suppose that my position would be that claims to deliver scientific results should ideally be derived and justified according to the scientific method. Apart from being tautology, that’s a given. But … what about the emotionally laden commitment?